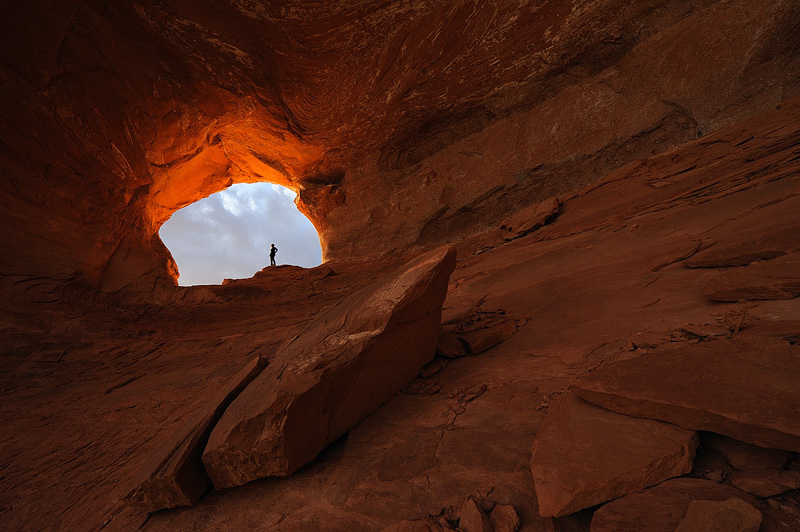 On one of our visits to Utah we came across this large hole in a rock face, and at first sight it didn't look very interesting. When it started raining, we walked around the rock, searching for a place to shelter. When we got to the other side, we saw this huge half dome with the hole in the distance - a spectacular sight. I asked Daniella to climb up to the window for scale and after a couple of shots the setting sun briefly peeked between the clouds and colored the rocks near the window deep red. This image was awarded a Highly Commended at the Nature's Best International Photography Awards.